You can find all the occurrences of a variable, function or program object in your tests. This way, you can navigate around your tests easier, especially if your tests are large or if your project includes multiple script units. 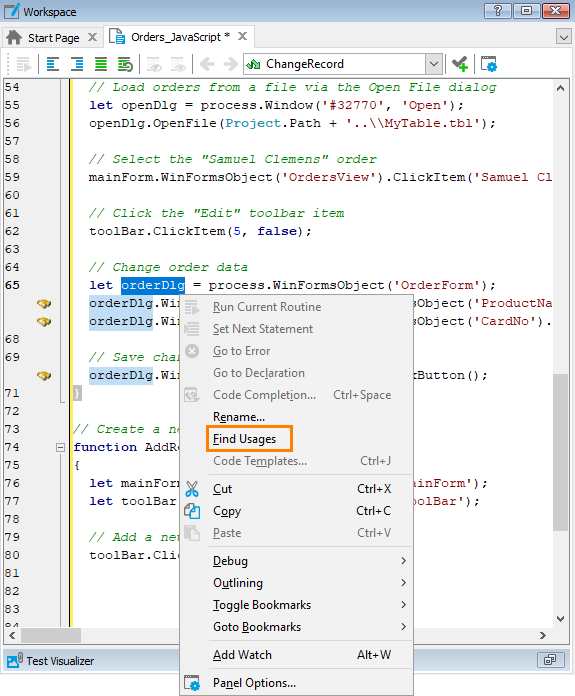 Open the needed script unit in the Code Editor. Locate the line where the variable or function is declared or the line where the program object exists. TestComplete will find all the occurrences of the selected variable, routine or object in your script units, keyword tests and project items. 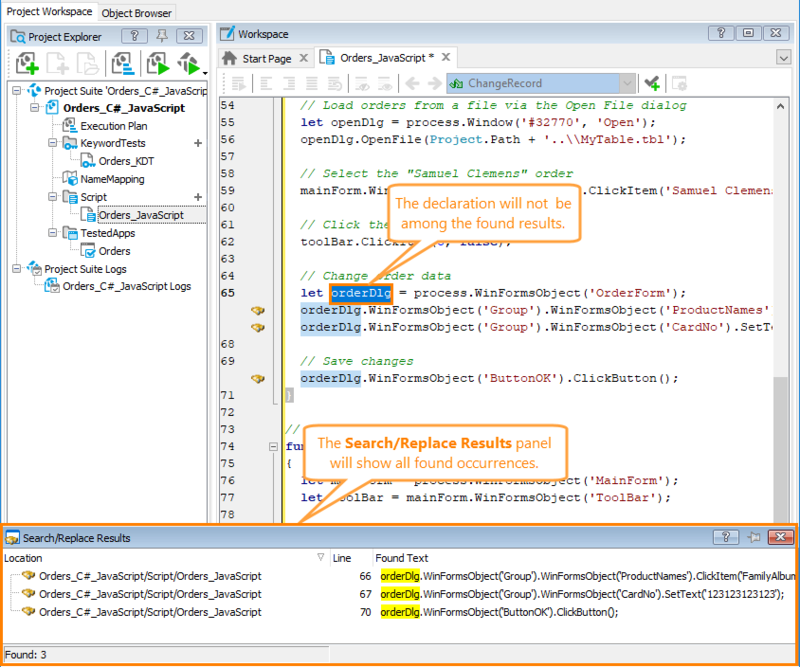 Note: TestComplete does not support searching for usages in script units associated with other units through adding the module.exports object.